This oil helps eliminate toxins and excess water, helps improve intestinal transit, dynamizes the pelvic muscles, and reduces plumpness around the stomach. Recommended for all skin types, but ideal for skin with water retention and edema. Apply to the stomach and legs, and use the massage glove to optimize results. This contains a blend of Cedar, Juniper, Pine and Clove Essential Oils and is a draining, detoxifying and revitalizing treatment for specific areas. It tones and softens the skin, and visibly reduces the belly. 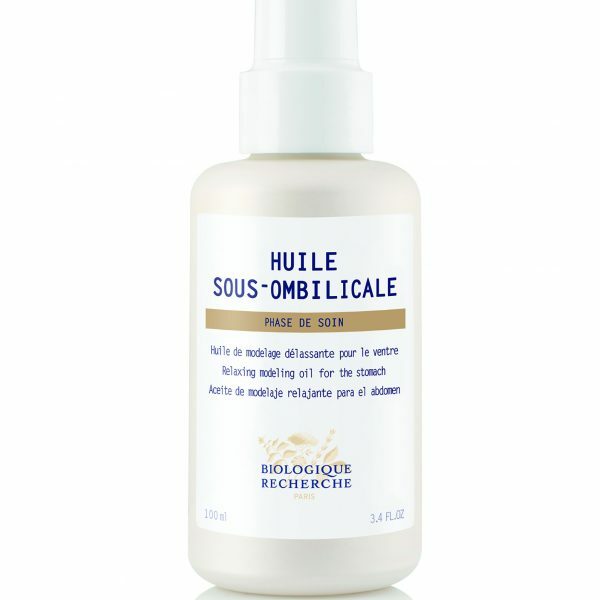 Apply a few drops of Huile Sous-Ombilicale onto your stomach and massage in clockwise movements to activate the blood circulation.